Rainy weather wasn’t going to put a damper on this wedding reception. 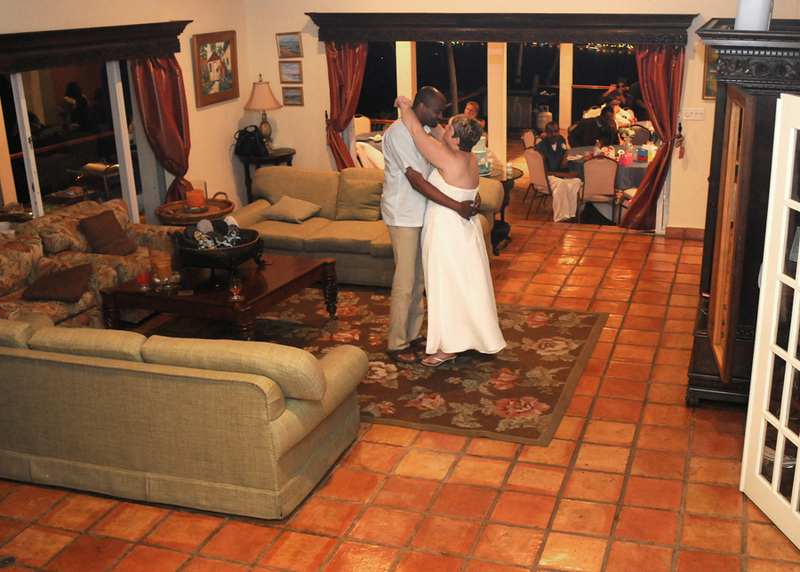 Tammy and Troy celebrated with friends and family at a rented villa in St. Thomas. This was such a great group of folks and you could really tell how much they value family. The sweet, intimate reception was a perfect mix of dinner, dancing, and toasts (including a fantastic one led by Uncle Moe). From the island rum to the ocean themed cake, this tropical wedding was a fantastic celebration of love and family in the islands. Check back next week for some shots from Tammy and Troy’s trash the dress session in St. Thomas. In the mean time hop on over to see Devon Morgan’s work at Photosynthesis Studio. This wedding weekend wouldn’t have happened with out her or the great organizing skills of A Big To Do Event Planning.